Xubuntu is one of many Ubuntu derivatives which provides an alternative desktop environment instead of Ubuntu's default desktop environment, Unity. Xubuntu uses XFCE as the desktop environment, so it's faster and more responsive than Unity. 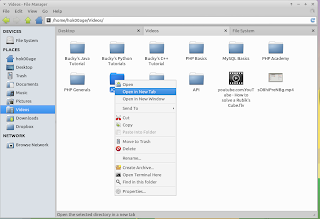 But, when you often work with Nautilus file manager with its tab feature, you might lost what you like on XFCE. 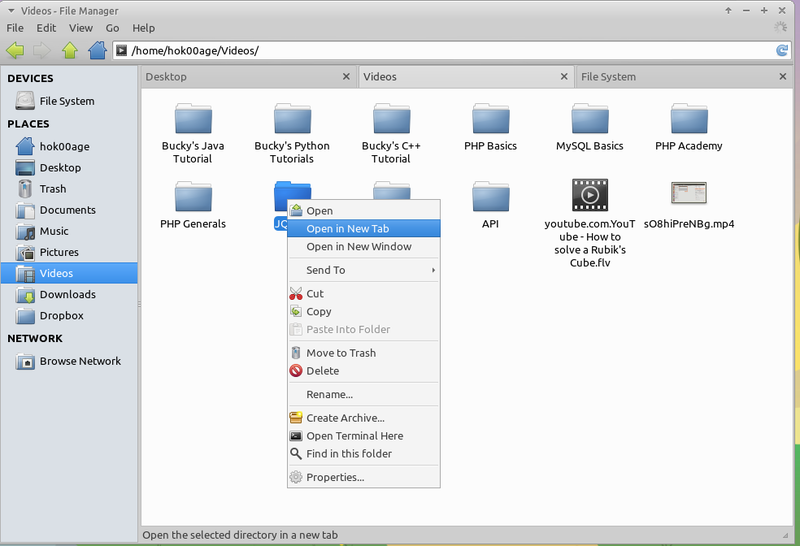 The Thunar file manager (default XFCE file manager) doesn't have such feature. But don't worry, you can upgrade XFCE to version 4.12 which comes with tab feature of Thunar File Manager. Show custom commands again in the menus (bug #9169). Drop usage of glib 2.32 functions. Allow resizing of chooser dialog. Don't abort on non-utf8 charaters in path entry. Don't show drive icon for remote mounts in history. mounts that were empty after unmounting. Show tooltip uri/filename in history menu item. End with a / in the path entry. Add function to generate nice remote display names. Easy adding bookmarks for remote mounts. Do not call eject in thunar_device_volume_mount_finished. Reduce tumbler traffic on startup of Thunar. Use drive_stop in device handling. Put reload button in location entry. Create pull-down history buttons and remove arrows. Once installed, please logout and login back so the changes can take effect.